There’s something great about adventuring around in a strange new city, and something even greater about stopping in the middle of your exploration to meet with old friends for brunch! During our epic NYC weekend trip, I got to meet with a couple of friends that I’ve known since middle and high school, who have lived in NYC since college. They know the ropes, and the best restaurants obviously, so they took us to The Smith in Lincoln Square! So after visiting the Top of the Rock, and spending way too much moolah on 5th Avenue, we stopped in for brunch – which in NYC is around 1 PM! New York nightlife and bars don’t close until 4 AM, so they stay up late and wake up late the next day, which is perfectly fine by me! The Smith is the perfect ambiance for brunch in my opinion – super nice but not too fancy, not too dive-y, and they take reservations! They also offer unlimited sparkling water in addition to tap – yes please! 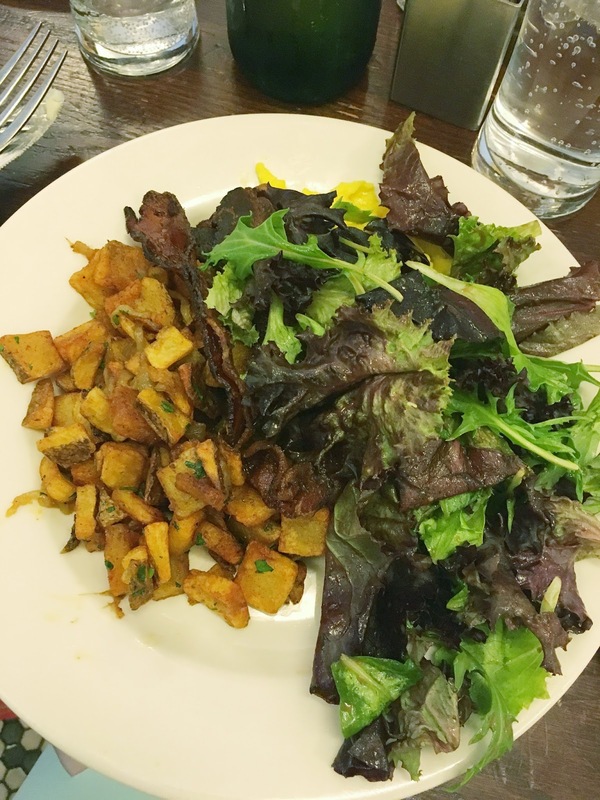 I ordered the scrambled eggs, which I promise are under that massive pile of healthy leafy greens. My plate also came with some of the best seasoned potatoes ever! It was the perfect fuel for the massive walk-a-thon that is NYC. 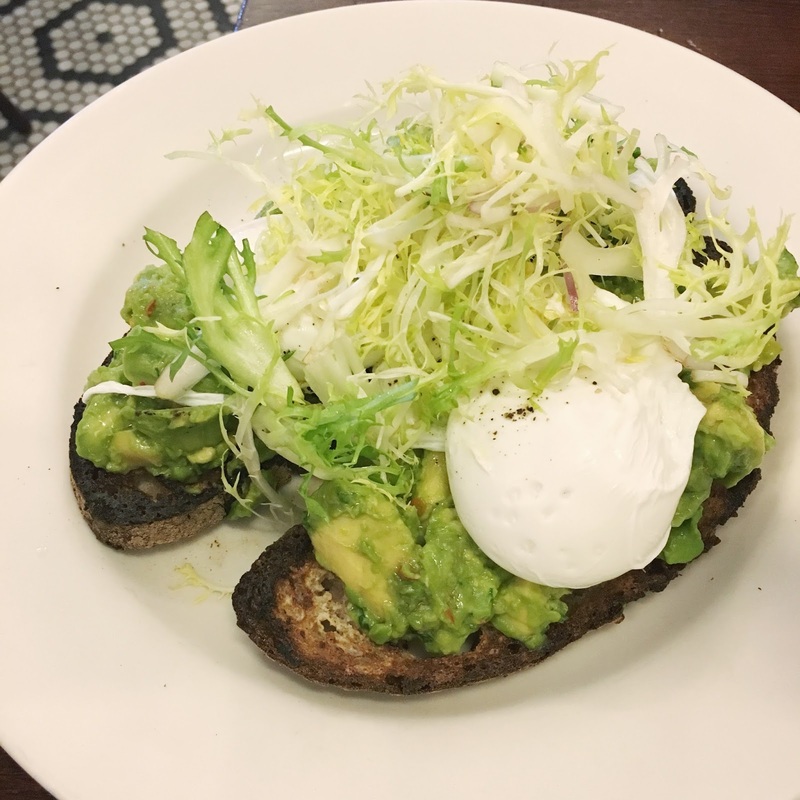 This glorious plate of avocado and poached eggs on toast is literally the first meal I’ve ever seen my boyfriend not completely devour! It was so delicious, but so incredibly filling! They’re really generous with their servings here, even with avocado! 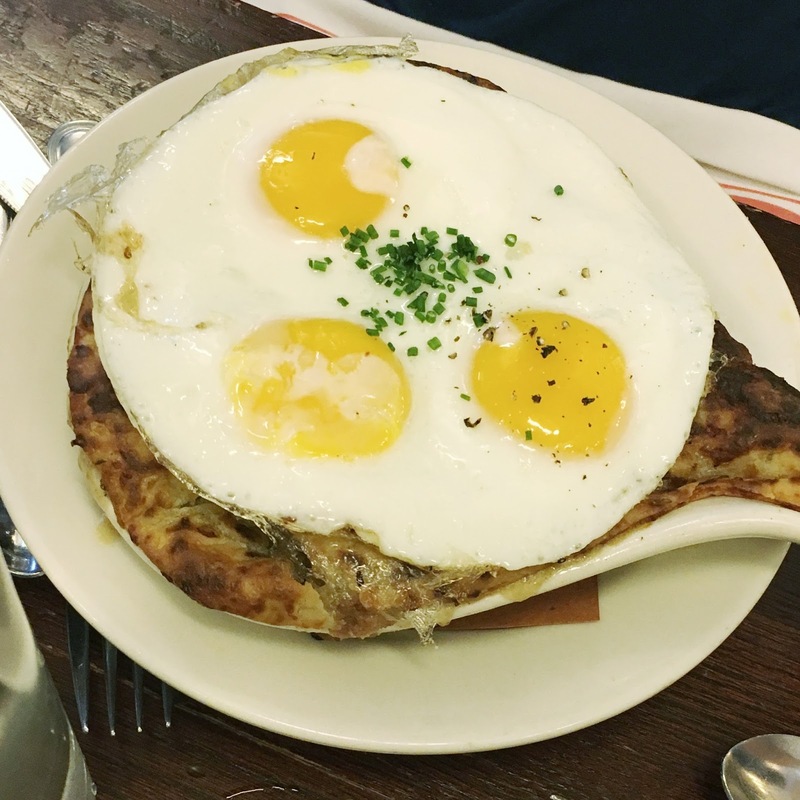 This Breakfast Pot Pie made me wish I wasn’t gluten free, it looked so good! It consisted of sunny up eggs, sweet sausage, mushrooms, thick cut bacon, and a cheddar biscuit top. Does it really get any better than that? 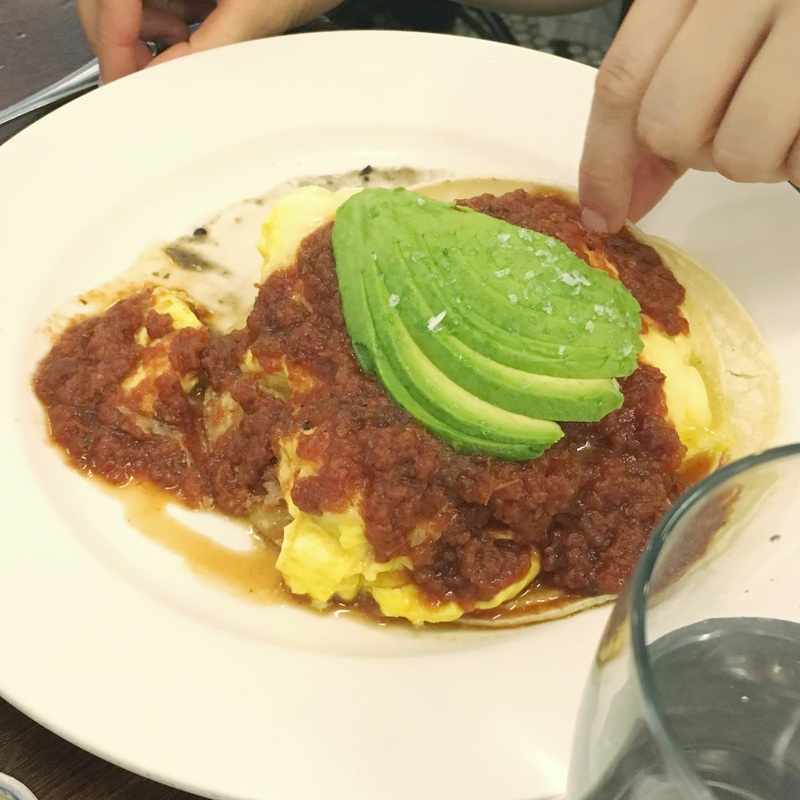 Huevos rancheros is always a good idea. This rancheros scramble came with chipotle salsa, black beans, tortillas, cheddar, and avocado. The bite I tried was so scrumptious, as you could probably imagine! Be sure to check out our adventures at The Met fashion exhibit, a Turkish lunch on the Upper East Side, Central Park, and Top of the Rock / High Line if you haven’t yet! 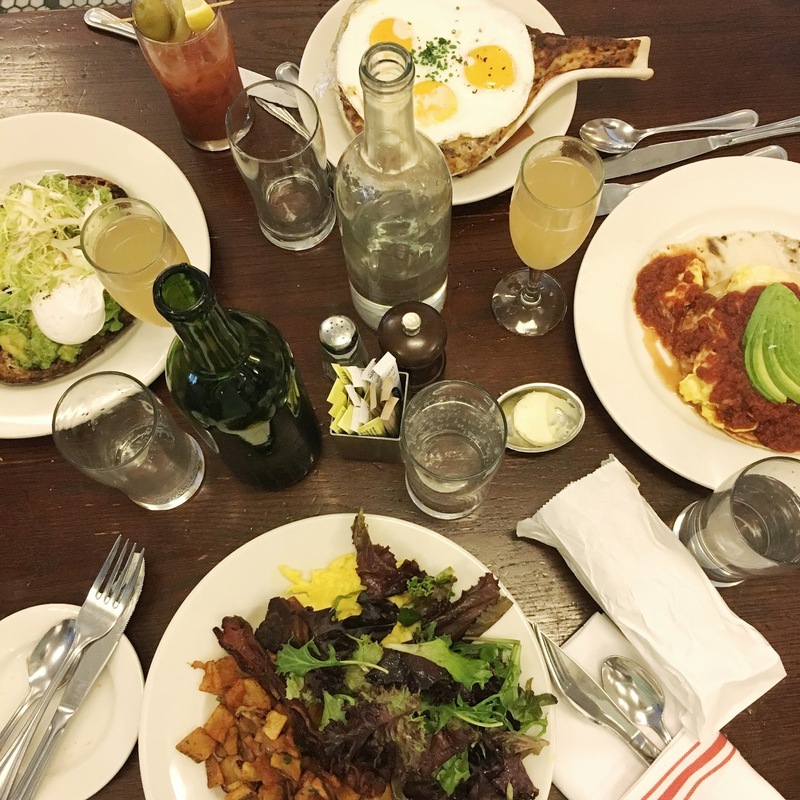 Comment Challenge: What’s your fave time to grab brunch? Early or late in the day? Next Post Weekend Shopping List: Sales & Deals!